Join us as we observe and make connections with our natural world, so important for both kids and adults in our busy world. 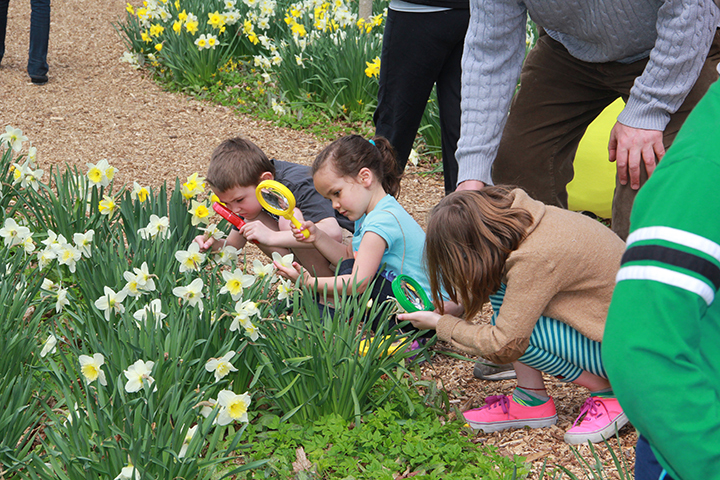 Participants will use a special nature observation kit that includes a magnifying glass and observation box to explore the vibrant world around them. Gardens Manager and tour leader Gail Read will guide us toward discovering for ourselves the sensory delights of nature. Please wear comfortable, waterproof shoes. Feel free to arrive early and enjoy a picnic lunch on the grounds! Admission included in ticket price.